Cover title. Cover title. Printed in reverse sequence. This spin-off of the bestselling Haruhi Suzumiya series takes place in the world of the 'Disappearance' arc of the original novels, focusing on the high school life (and romance!) 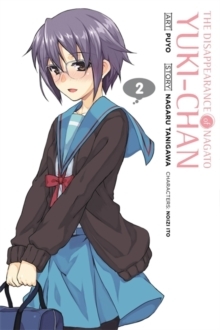 of a tentative and bashful Yuki Nagato quite unlike the one you've come to know and love through the usual exploits of the SOS Brigade...but no less charming!